Specifications:This model is designed as a visual leaning aid for anatomy and physiology courses. 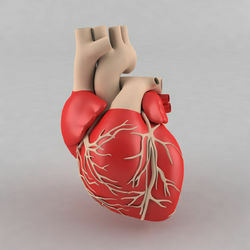 Natural size, front heart is removable to view the chambers. Natural size, front heart is removable to view the chambers. Mounted on base. Supplied with English Key Card. 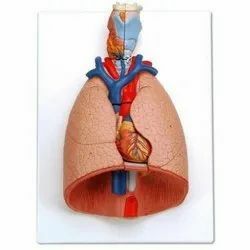 With sincere intentions to preserve and uplift our reputation in the industry, we are offering a comprehensive assortment of Human Heart Model. With enriched industrial experience and knowledge, we are manufacturing, exporting and supplying our clients with a wide assortment of Heart Model. 2 times enlarged, 4 parts heart with mitral and tricuspid valves and showing all the arteries and veins with coloured, numbered, on stand. This mode is also fabricated in 3D, but divisible into parts 4 mounted on stand Also available.